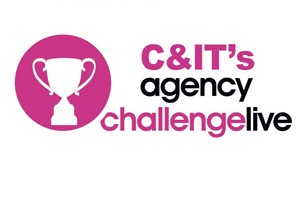 DRP Group, BSI Meetings & Events and First Protocol took part in C&IT's inaugural Agency Challenge Live last month. The agencies were given a brief and asked to deliver a pre-event communications strategy, theme and visuals for the C&IT rebrand event at Confex. Watch the video to see clips from all three agency pitches and find out why DRP Group was crowned winner.